Although energy efficiency was the objective of the design, the architects did not want to sacrifice aesthetics. Therefore, the building materials were chosen to create a sophisticated design. Muted grey brick cladding gives the home a contemporary feel while providing the home with an ultra-thick layer of insulation. The slanted roof was chosen to enhance the home’s style while maximizing the energy output of 44 south-oriented solar panels. In fact, orientation was key to creating the ultra-efficient design. On the interior, all of the communal living spaces were built on the “sunny side” of the home to maximize light and natural heating. Integrated solar blinds and screens on the windows block the sun from overheating the interior during the hot summer months. On the back end of the house, a lovely canopy-covered terrace offers a tranquil outdoor area for the family. Although the Netherlands has a reputation for being a very tranquil place to live, in reality, its climate can be quite volatile. 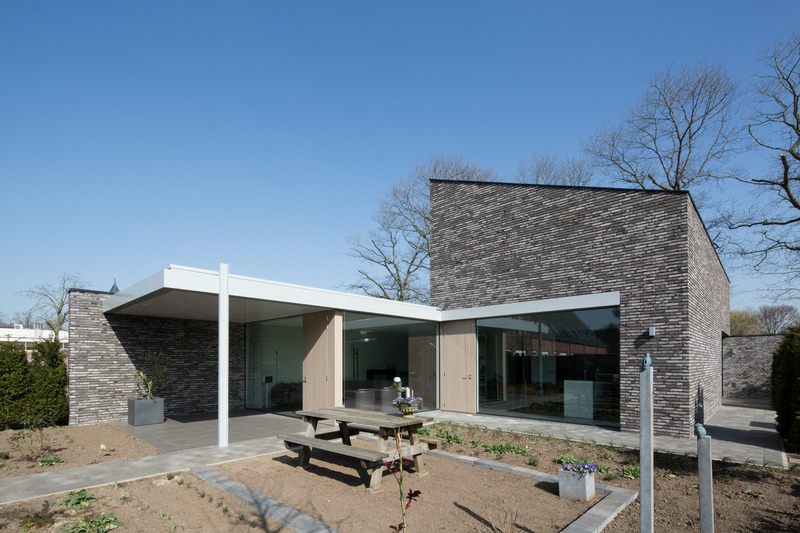 Frigid winters and searing summer heat make energy efficient home design a must and local architects such as Joris Verhoeven Architectuur are creating amazingly efficient designs that don't sacrifice on aesthetics. 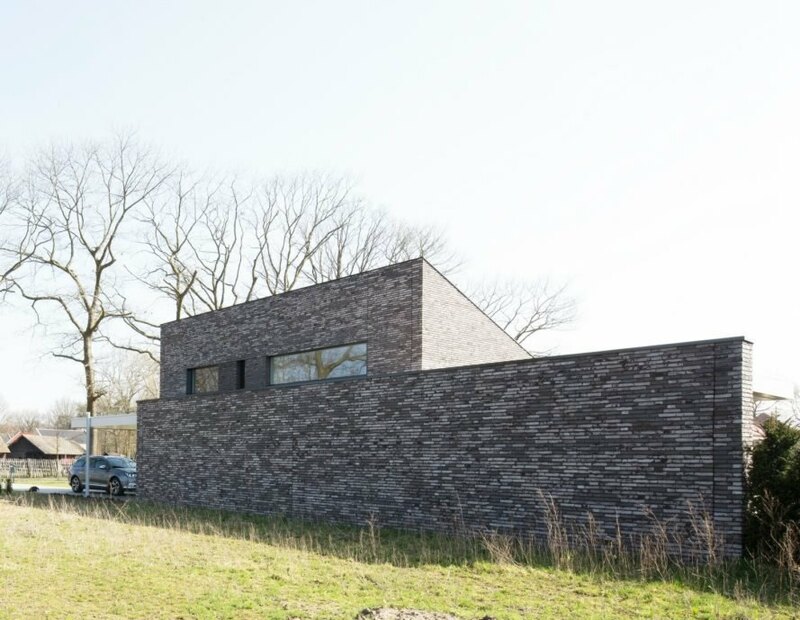 The firm's sophisticated "Positive Energy House" in the small village of Sterksel is a solar-powered powerhouse of efficiency that not only generates enough for its own use, but is able to share with its neighbors. Therefore, the building materials were chosen to create a sophisticated design installed with subtle insulative and efficient features. Although energy efficiency was the objective of the design, the architects did not want to sacrifice aesthetics. 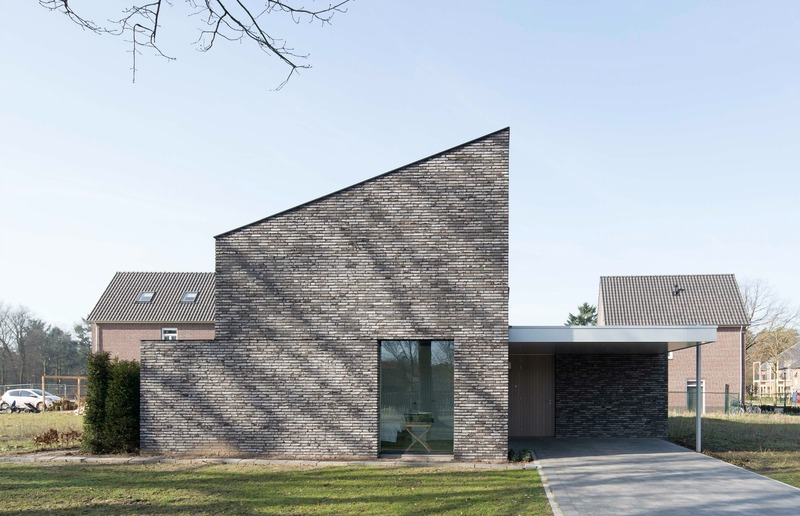 Muted grey brick cladding on the exterior gives the home a contemporary feel while providing the home with an ultra-thick layer of insulation. The slanted roof was also chosen to enhance the home's style, but even more so, to ensure that the 44 south-oriented solar panels could generate maximum energy. On the back end of the house a lovely canopy-covered terrace offers a tranquil outdoor area for the family. Orientation was key to creating the ultra-efficient design. On the interior, all of the communal living spaces were built on the "sunny side" of the home to maximize light and natural heating. 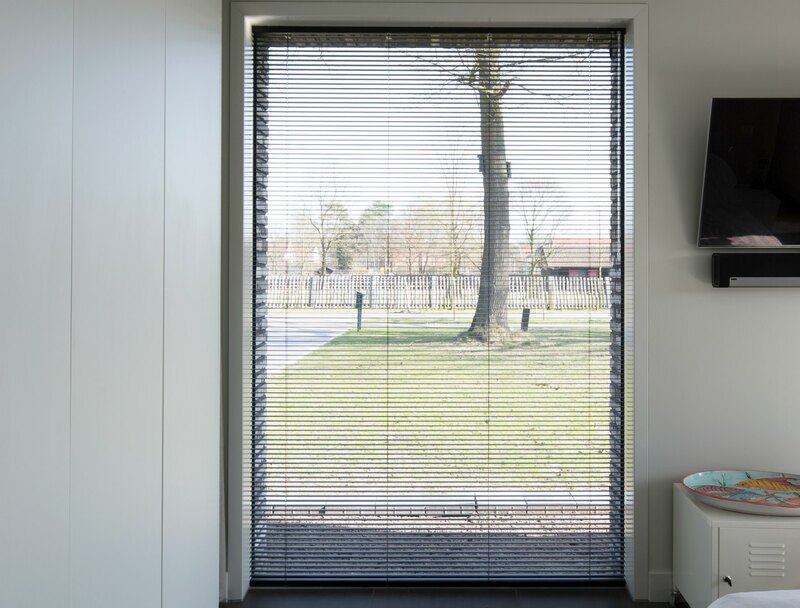 Integrated solar blinds and screens on the windows block the sun from overheating the interior during the hot summer months. The Positive Energy home generates enough extra energy to charge an electric car. 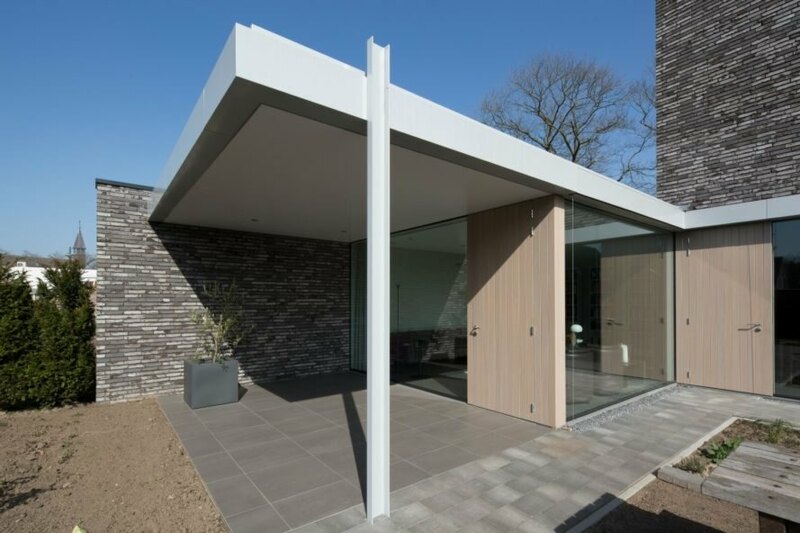 The home's orientation was key to its efficient design. 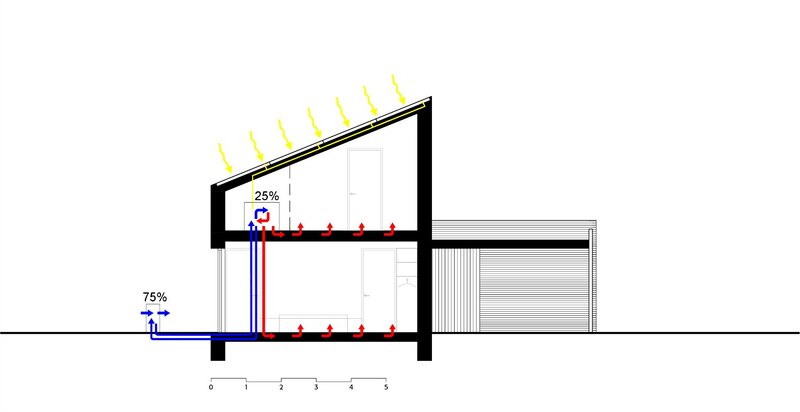 Solar radiation is kept at bay thanks to its slanted roof. The home is ultra insulated to make use of natural energy. The home's communal areas are faced on the sunny side of the home. The home's layout was strategic to its energy production.